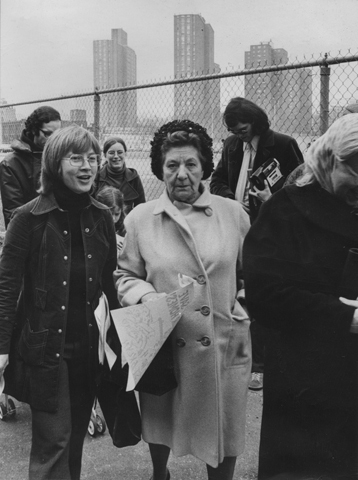 Jan Peterson explains her experience getting involved in the women's movement and what influenced her to found the National Congress of Neighborhood Women. Jan Peterson, excerpt form interview with Wesleyan University students Abigail Baker, Emily Trambert and Stephanie Aracena, Booklyn, NY, March 31st 2012, digital recording, in possession of Neighborhood Women of Williamsburg-Greenpoint. Jan is founder and director of the National Congress of Neighborhood Women (NCNW), and a founder and representative to GREC. The women credit Jan as a source of their empowerment. They had done fundraising for their organizations, but were left out of decision-making. “She brought us together and helped us find our power.” NCNW created the first educational model whereby community residents. could receive Associate of ARts degrees from a college (LaGuardia/CUNY and Long Island University) by attending school in their neighborhood. NCNW also collaborated with the NYC Board of Education to form the You Can after-school programs. They partnered with the Ford Foundation to expand their services to share their leadership support principles and methods with grassroots women organizations throughout the world. Jan Peterson also serves as the Chair of the Secretariat of the Huairou Commission, a global coalition that forges strategic partnerships to avance the capacity of grassroots women worldwide to strengthen and create sustainable communities. Her role surges from 30 years of working in community development. She has been a groundbreaking leader in producing innovative community structures led by grassroots women. In Brooklyn, New York, she founded numerous community-based organizations and developed a Leadership Support Process to help grassroots women to build leadership while working across ethnic and racial lines. Supporting the knowledge and contributions of grassroots women, she also ran the national Institute fo Women and Community Development and the Neighborhood Women College Program. Her experience spans from local and national to global work; in the United States she founded the National Congress of Neighborhood Women. She moved from national to global work, playing founding role in GROOTS International and then the Huairou Commission. She has taught in the faculty of Adelphi University School of social Work, the Pratt Institue, LaGuardia Community College and more recently at the New School Graduate Program in International Affairs. 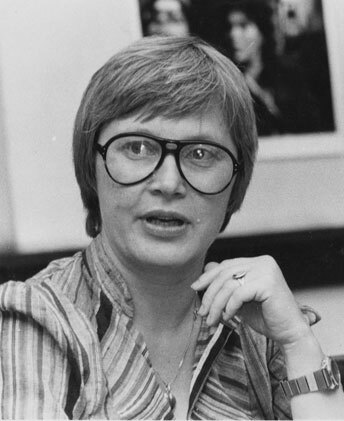 Under the Carter administration, she worked as the Associate Director in the office of public liaison in the White House, as well as the Office of Policy and Planning and Action, with Peace Corps and Vista. Ms. Peterson was awarded the UN-Habitat Scroll of Honor in September 2009 for her work that spans four decades of commitment to improving grassroots women’s lives globally. Through the Huairou Commission, Jan has developed a network of networks bringing together women’s organizations in 50 countries. Because of her strong advocacy, Jan has ensured that the global women’s movement incorporates grassroots women’s groups and that it takes heed of community development priorities for sustainable human settlements. In addition to raising more than USD 4 million for work with grassroots women, Jan has supported pioneering initiatives such as the Grassroots Women’s Academy held at each World Urban Forum and the Local to Local Dialogue Process. 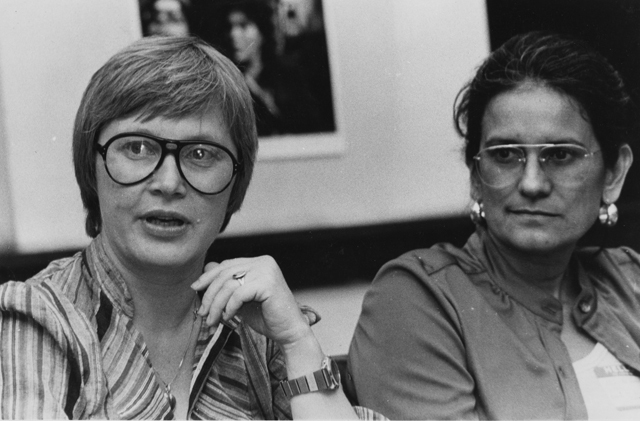 The building at 28 Kingsland Avenue, Neighborhood Women Houses, honors activists Jan Peterson and Mildred Tudy for transforming Williamsburg-Greenpoint through their work as community leaders. This entry was posted in NWWG, NWWG Bios by admin. Bookmark the permalink.